DigiTee Designs By Sheila: Pixel Scrapper August 2013 "At The Beach" Blog Train CU Solid Paper Pack Freebie!! 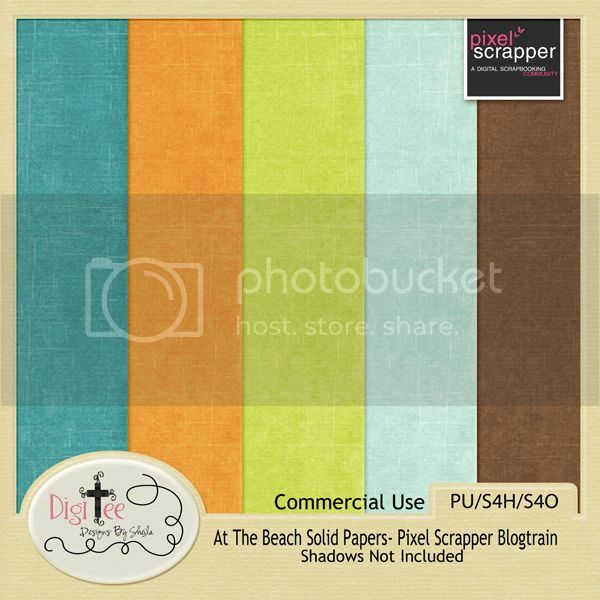 Pixel Scrapper August 2013 "At The Beach" Blog Train CU Solid Paper Pack Freebie!! Here is a solid paper pack I made to coordinate with my part of the At The Beach Blog Train:) Its also CU and may be used in your designs as well. I hope you like it and don't forget to run back over to Pixel Scrapper for the rest of the awesome blog train contributions! DOWNLOAD SOLID PAPERS at mediafire. Thanks for all the parts of the cute summer kit. Thank you for your part of the blog train and for the earlier styles! Great job on all! You are oh so generous!! Thank you for eveything! Thank you for all the lovely gifts! Your art is wonderful and you are too!! Thank you for all your wonderful freebies. God bless!